The letter didn’t, of course, put it in such crass terms. It talks about taking “concrete steps” to ensure electricity markets valued the nuclear plants’ “national security attributes”— a vague enough formulation to ease getting signatories. 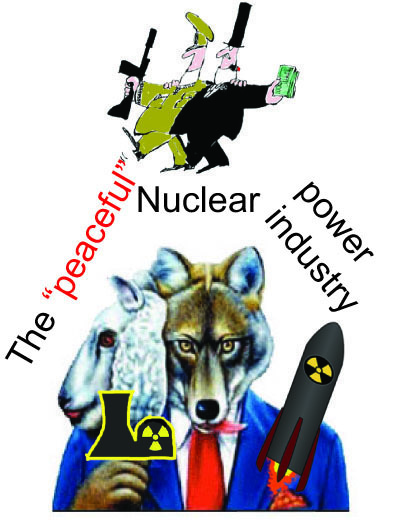 Most of them, as one of the signers (former Virginia Senator John Warner) himself put it , “are not intimately familiar with the ins and outs of the financial side of the power grid.” They do, however, apparently believe that they see the big picture—”the national security attributes of nuclear power”—more clearly than the parochial federal and state officials who set electric rates. The letter talks about “robust” nuclear power plants offering “a level of protection against natural and adversarial threats.” Leaving aside that “a level of protection” doesn’t mean much, the implied claim is dubious. It’s not well known but nuclear plant safety is critically dependenton the reliability of the electrical grid to which it is connected. In severe natural situations (ice storms, hurricanes, tornadoes, earthquakes), and even more so in adversarial ones, the transmission lines connecting nuclear plants to the electrical grid may fail or be destroyed. The earthquake that triggered the Fukushima accident first destroyed transmission towers and broke the link with the electrical grid. In these circumstances a nuclear plant must be shut down, as would any other electric generating plant. The difference, however, is that the nuclear plant becomes a serious liability because its safety cooling systems would have to operate indefinitely on its emergency diesel reserves—a highly undesirable state of affairs. There have been grid failures in the United States that have put several nuclear plants into emergency mode. In this context, it’s fair to ask whether nuclear plants increase the resilience of our electrical grid or burden it. This article first appeared on August 8, 2018 in The National Interest and is republished with permission from the authors.